Our mom, Kathryn Elizabeth, was born on Friday the 13th, a day which never proved unlucky for her, and was called home to the Kingdom of Heaven on 07/07/07 — a perfect number and a perfect day. She lived to be 89 years old just a few months shy of her 90th birthday. Her father was one of 13 children, eight of whom were boys and of those eight, four became Lutheran pastors. Her dad was one of those. Her parents met when her father had to fill in as preacher at one of his brothers’ churches and noticed the young musician playing for worship. 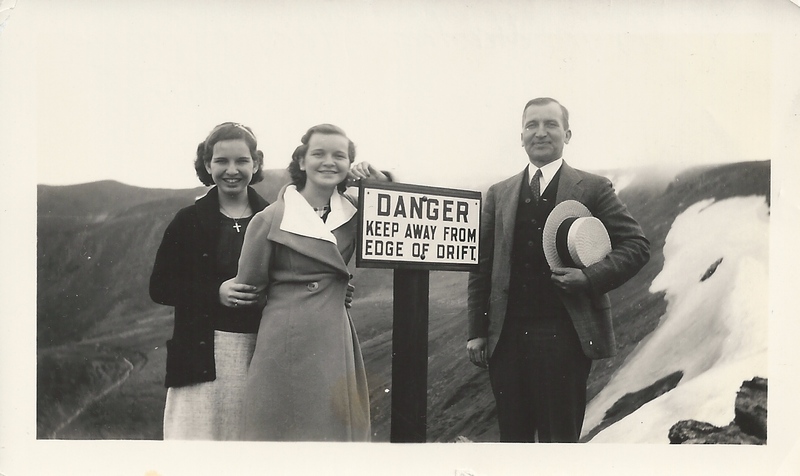 They courted, married, and Mom was born in a little town called Sherrodsville, Ohio, which was one of a three congregational parish that her father served. 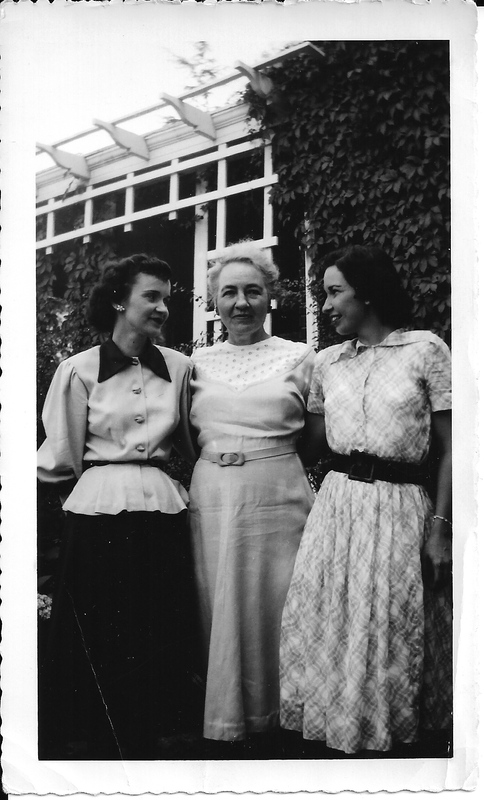 Our mom had a younger sister, Martha Ellen, and an older brother who died in childbirth. Her father believed that one day he would meet his grown son in the Kingdom. Mom seemed to agree. She graduated from Wittenberg College (now University) a Lutheran church school in Springfield, Ohio. While in school she had so many marriage proposals that she opined to me that she often used to think that when young men didn’t know what else to say they proposed marriage. She thankfully turned them all down. Upon graduation, she began teaching in Trenton, Ohio. She was just twenty years old and was teaching high schoolers. She stayed in that job for three years — which proved to be pivotal years in her life. She had accepted an invitation to a Fraternity formal dance in Toledo, and those three years proved to be the courting years of our parents. They were best friends, lifetime lovers, sparring partners, hopelessly besotted with each other. There was nothing they didn’t talk about including some of the things I remember: theology, politics, literature, history, church life, family life, music, law, antiques, pigs, cats, birds, and paradise. 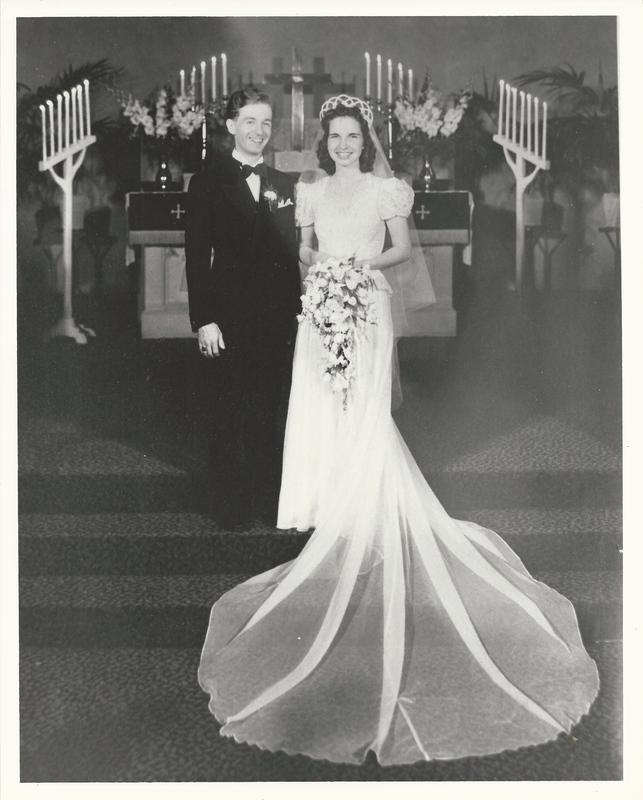 After Dad’s graduation from law school, he and mom were married in the summer of 1941. They had six months of married life together before he was drafted for WWII. The war years are a story for another time. Let me get back to telling you about our mom. She was a lover of words in all their many forms. She loved lofty literature as well as pithy doggerel. After being a stay at home mom for four children, dad suggested she go back to school because he thought it was something she would love to do. When I was in Kindergarten, she started a masters program in English Literature at the University of Toledo. She graduated when I was in second grade. My dad was always bringing mom roses from the garden, but on that occasion, he bought her a dozen long-stemmed Red Roses which wowed this 2nd grader. She encouraged my youngest brother, and later me, to invite friends over to the house to read Shakespeare’s plays — a fun and rather counter-cultural activity for high school kids back then. She penned some beautiful poems — but is best remembered in our family for the rhyming doggerel she composed for family occasions chiefly the birthdays of her children. Although she loved her three sons and one daughter to the moon and back — we were never the center of our family. Our parents were. Their relationship was the primary one. Whether they talked about this or not — I have no idea — but it always seemed to me that they believed that if their relationship wasn’t the primary one in the family — none of the children would be secure. They were rock solid in their belief in God, and their marriage was founded on that belief. Their marriage was always at the center of our family life. She was a hard worker and a smart cookie. She knew that there was more than one way to skin a cat. When she taught eighth-grade kids remedial reading, she stocked her classroom with things the kids wouldn’t be ashamed to be seen with — Hot Rod magazines for example — and got them all reading at or above grade level in a semester. She painted every room in our house. She sewed tons of my clothes including a wedding gown. 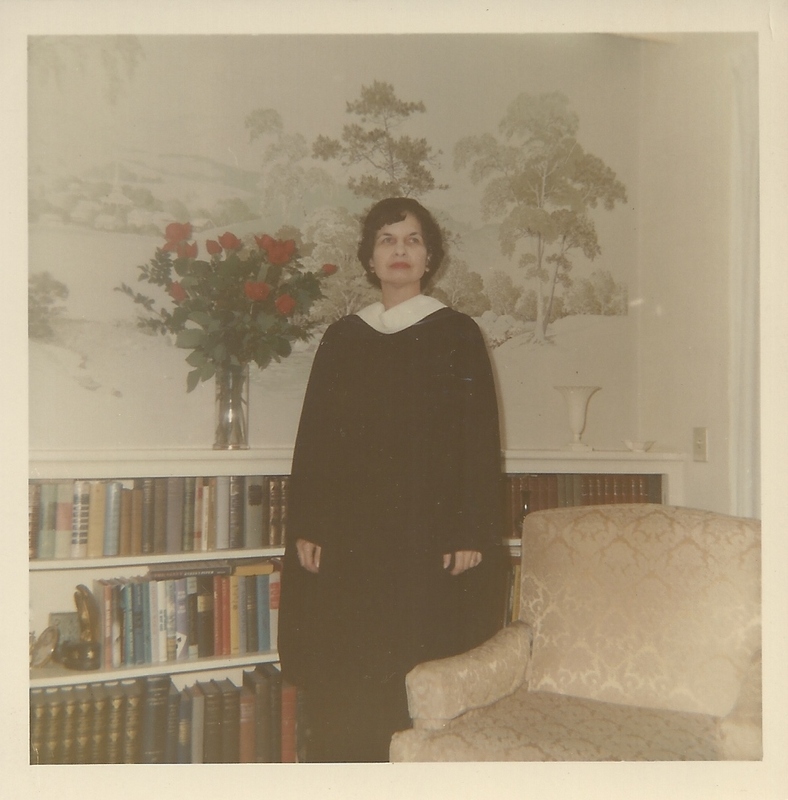 She was a member of the American Association of University Women and belonged to a book reviewing group. It turned out that she became much in demand by social and civic organizations as a book reviewer. She taught me many hard lessons in fun ways — chiefly by her example. She was kind to others but never a doormat. She was proud of her children, but not blindly so. She was not unwilling to jerk us up when we needed it. So on this 07 07 17, I give thanks for her life, I joyously remember her witty reproofs, I delight in the treasure of being her daughter, and I raise my morning coffee cup in honor of the best Mother this girl could have had. This entry was posted in Family, Heaven, Marriage and tagged Children, Death, Heaven, Love, Marriage, Memories, Parental responsibility. Bookmark the permalink. Apparently, I’m having a senior moment. Tomorrow, not today would be the 10th Anniversary of our mom’s death. If she were here she would laugh at my gaff and quip something about being a tad bit over eager. . .